This incredible aromatically scented bar is inspiring! 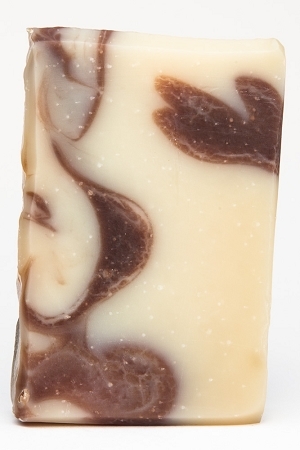 Used in aromatherapy to warm and stimulate, this clove soap is a decadent treat for both your mind and body. Our gentle lather cleanses your skin while the pure essential oils sooth your mind. INGREDIENTS: filtered rain water, saponified oils of olive (olea europaea), coconut (cocos nucifera), and palm (elaeisguineensis), essential oils of orange (citrus aurantium dulcis) and clove (eugenia caryophyllus), cocoa (theobroma cacao) powder, and cinnamon (cinnamomum cassia) bark. 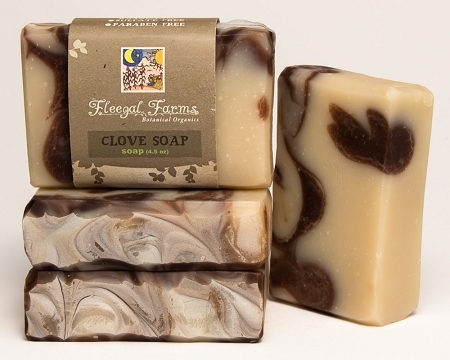 I was doubtful that I'd like Fleegal's Clove Soap when I first purchased it on a whim. It has become my favorite! It's invigorating and uplifting. The aroma is amazing and there's just something very powerful about this scent. The quality of this soap is wonderful.